If you're sick of hearing about South by Southwest I recommend checking out a flyer lo-fi pop musician Jimmy Whispers made for his headlining show at the Hideout on Friday; he's calling the show the "Mid by Midwest Interactive Festival," and Whispers's artwork pokes fun at the rampant corporate #branding taking over SXSW. I also recommend checking out the show, which, in addition to Whispers, features Yawn, Roommate, Thin Hymns, and special guests Sharkula and Chris Condren. If you can't make it to that show there are plenty of others to see this weekend. Tonight there's Culo and Nancy at Permanent Records and Imagine Dragons at Allstate Arena. Tomorrow night you can see Dale Earnhardt Jr. Jr. at Metro or Lowdown Brass Band at Andy's Jazz Club. On Saturday there's Suns at Township and Ke$ha at the Venue at Horseshoe Casino. On Sunday there's G-Eazy at Bottom Lounge. There are even more shows to see—head to Soundboard to dig through all our listings and read on for some picks from Reader writers. "Aside from Chicago tenor legend Fred Anderson, no free-jazz musician has had a second act as fruitful as that enjoyed by Poughkeepsie multi-instrumentalist Joe McPhee," writes Peter Margasak. McPhee's been recording for more than five decades, and he's been quite prolific since the mid-90s. "On last year's What / If / They Both Could Fly (Rune Grammofon), a fantastic duo with British saxophonist Evan Parker, their horns sometimes melt together—as though the two men can predict each other's every turn, jag, and shimmy—and sometimes form fleet contrapuntal architectures. McPhee's 2013 duo album with ferocious Norwegian drummer Paal Nilssen-Love, Red Sky (PNL), demonstrates their powerful rapport: they move confidently and logically from hushed cymbal patter and gentle tenor cries to carpet-bomb beats and upper-register howls. McPhee performs with another drummer tonight, New York native Milford Graves, and incredibly it's their first-ever meeting—despite the fact that they've both been active in free-jazz circles since the 60s." Richard Hell and Thurston Moore open, Hell with a reading from his own work (including the 2013 autobiography I Dreamed I Was a Very Clean Tramp) and Moore with a live soundtrack to James Nares's 2011 video Street. 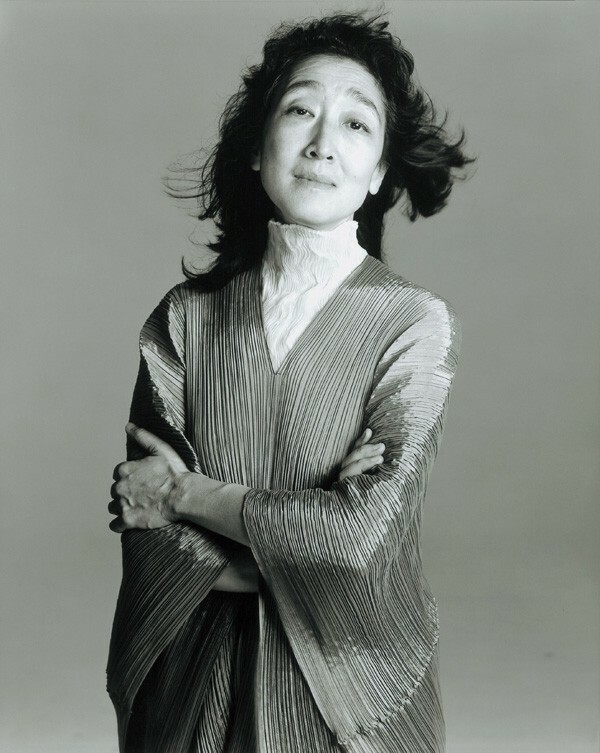 "With her enormous range of touch and sound, pianist Mitsuko Uchida can convey the subtlest of shifts in mood and color," writes Barbara Yaross. "For this series of concerts she'll bring her exquisite sensitivity to the music of Mozart and Schubert—she opens with Mozart's dramatic Adagio in B Minor for solo piano, then leads the Chicago Symphony Orchestra from behind the keyboard in his Piano Concerto No. 19 in F. The centerpiece of the program is Schubert's joyful Piano Quintet in A, known as the Trout because the fourth of its six movements consists of variations on an earlier song of Schubert's by that name. It provides a rare opportunity to hear Uchida in a chamber-music setting, in this case joined by four CSO section leaders: violinist Robert Chen, violist Charles Pickler, cellist John Sharp, and double bassist Alexander Hanna." "Artist, composer, and multi-instrumentalist Charlemagne Palestine is a contemporary and occasional associate of La Monte Young and Tony Conrad, and his album Four Manifestations on Six Elements sits at the head of Alan Licht's 'minimal top ten,' a key document in the resurgence of interest in such music," writes Bill Meyer. "Palestine, who was born in Brooklyn in either 1945 or 1947 (his own website gives both dates), prefers to characterize himself as a maximalist, and with good reason. His 1974 classic Strumming Music uses an enduring minimalist trope—simple figures that repeat until they generate clouds of overtones—but the hammering intensity of his attack and the rich sonority of his Bösendorfer piano create a wall of sound that's both overwhelming and gorgeous.Schlingen-Blängen, a late-90s piece for church organ, is even more intense. Using wedges to depress the organ's keys, Palestine sculpts a 71-minute, 38-second multiphonic drone that exerts an almost barometric pressure upon the listener. Whatever instrument he plays—he's also used bells, synthesizers, harmonium, wine glasses, and his high, ragged voice—he asserts an idiosyncratic sense of ritual, often surrounding himself with teddy bears and fortifying himself with fine cognac. Nowadays Palestine lives in Brussels, Belgium; he most recently performed in Chicago in 1982, but he's making up for his long absence with a weeklong residence that will include four public events (two of which involve live music)." Kevin Warwick doesn't mince words when it comes to local postrock/metal outfit Russian Circles—he reveres them. "I’m not going to not like a Russian Circles album, because I know how a Russian Circles album will mostly sound," Warwick writes. "Their most recent, last year's Memorial (Sargent House), is a thunderous blaze, full of expertly manipulated swells of sound and intricately constructed towers of guitar tapping. They've gotten through five albums as an instrumental band—though Chelsea Wolfe lends her gothy voice to Memorial's title track—because within the confines of that style they've grown and mutated in an incalculable number of directions, like a colony left to its own devices in a petri dish. Similar to its predecessor, 2011's top-notch Empros, Memorial shifts from triumphant, nearly orchestral sheets of layered guitar—sometimes complemented by actual cello and violin—to grim, crushing head-banger catnip. 'Deficit,' the album's first proper song, is heavier than anything I've ever heard from the trio—during the thick chug-chug that fills its final four minutes, guitarist Mike Sullivan and bassist Brian Cook wring every last ounce of bile from their instruments."